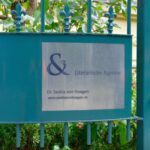 SvH Literarische Agentur is a literary agency based in Berlin. We represent Spanish- and German-speaking authors worldwide. Thereby, we focus on entertaining and high-quality adult literature as well as youth and children’s literature. Non-fiction is represented only in exceptional cases. As literary agents, we search for and support talents. We see our responsibility in aiding and accompanying authors on their career path. Our many years of experience in the international publishing sector as well as the excellent contacts resulting from that are of great value for our work. We accompany the works of our authors from the idea to the finished book and deal with contracts and accounting. The agency works only on the basis of success commissions. Besides, as a co-agency we represent several Spanish publishing houses and agencies in the German and Dutch language areas. In this sector, our range includes narrative prose, non-fiction as well as youth and children’s literature. A crucial success was the placement of Ildefonso Falcone’s “Cathedral of the Sea”. The novel was later published by Fischer and stayed on the bestseller list of the popular Spiegel magazine for several weeks. Other successful Spanish and Latin-American authors represented by SvH Literarische Agentur as a co-agency are, among others, Francesc Miralles, Care Santos and Inés Garland (German Youth Literature Prize 2014). 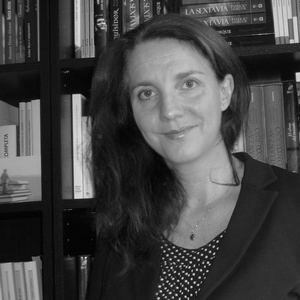 Saskia von Hoegen studied Romance language and literature in Bonn and Madrid as well as international law. She obtained her Ph.D in Spanish studies. 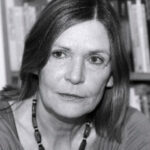 For several years, she worked for the Spanish publishing house punto de lectura in Madrid, administrating contracts and licences as well as managing the acquisition and translation of international titles. 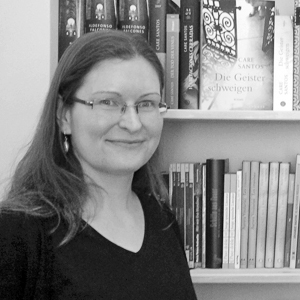 Back in Germany, she set up her own business as a freelance literary agent in 2005. Since 2006, the agency has been based in Berlin.